The tools and approaches used at Netflix to identify and remediate application layer DDoS attacks on their microservices-based architecture. Migrating a Node Express.js app from Elastic Beanstalk to Lambda and API Gateway. The Polymer Summit will be taking place in Copenhagen, Denmark on 22-23 August. 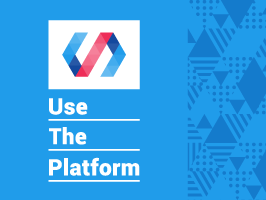 Attend talks and workshops with Polymer & Google engineers, and learn how to build beautiful, fast mobile web apps. How third-parties (such as analytics, fonts, CDNs) are affecting your site’s performance. Revisiting each project’s original mission, architectures, and how they can complement and interact with each other. The removal of RSA and other key agreement protocols that rely on static keys in upcoming version of the Transport Layer Security (TLS) protocol could cause issues. BBR, a cutting-edge new congestion control algorithm for TCP, achieves higher bandwidths and lower latencies for internet traffic. Including Lambda and API Gateway. Quick wins to significantly improve website performance in a DevOps environment. A high-level overview of Azure’s serverless offerings. Why and when you might choose either over the other. Interesting look at how the philosophy behind Linux can apply to serverless architectures. Compare the speed and uptime of different DNS services.